It’s only social network but the fans are taking this seriously. Superstar Chris Brown followed his ex-girlfriend superstar Rihanna the other day and “Chrianna” fans went crazy. Many rooting for the popular couple to get back together and others were threatening Chris to stay away. Brown has been going back and forth with love and then hate towards his current ex-girlfriend Karrueche Tran. She broke up with him after the world found out Brown was a father. Tran has recently requested a restraining order against Brown as she claims he threatened to kill her and her friend. There was a video posted of Brown, who seemed to be under the influence, that when he loves you, “no one else can have you” and compared himself to stalkers. 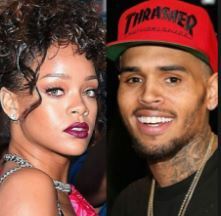 Many who follow the love drama with Tran, Brown and Rihanna believe the allegations from Tran, that Brown is abusive, both verbally and physically, are true. Others believe she is just doing this for fame as she hasn’t blocked him from her social network and even likes gossip stories about the two but will claim “hit like by accident”. When it comes to “Chrianna” fans, they want the two back together as many believe the two are soul mates. Other cannot let the past go and fear that with Brown’s current restraining order situation with Tran, and rumored drug abuse, it may occur again (even though it didn’t when the two got back together back in 2011). Rihanna has not re-followed Brown back.